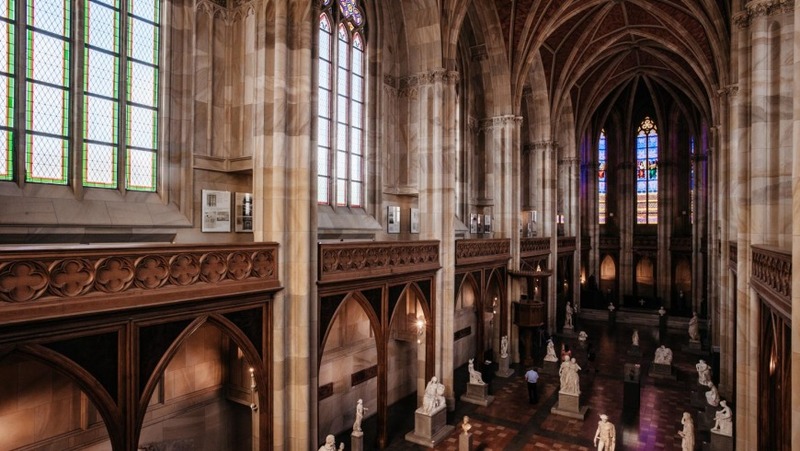 The Friedrichswerder Kirche, located in the Mitte district, is the first Neo-Gothic church built in Berlin between 1824 and 1831. 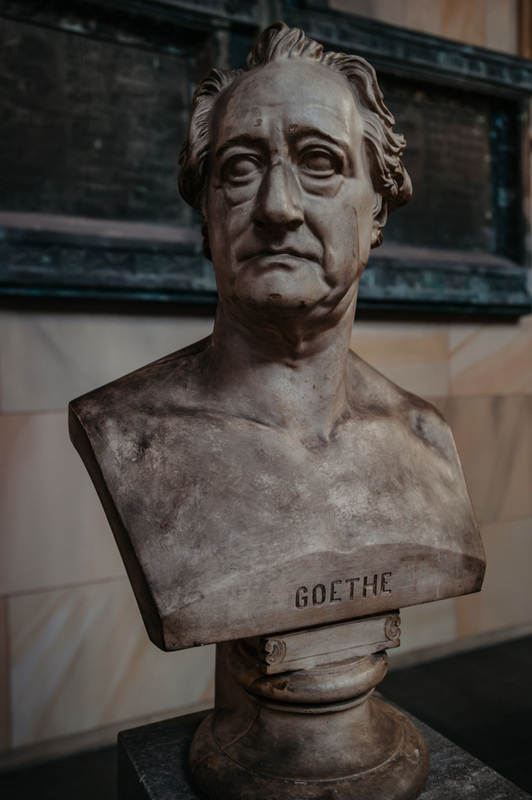 It is due to the architect Karl Friedrich Schinkel, the creator, since 1817, of the town plan and of many buildings, of the monumental Prussian capital. 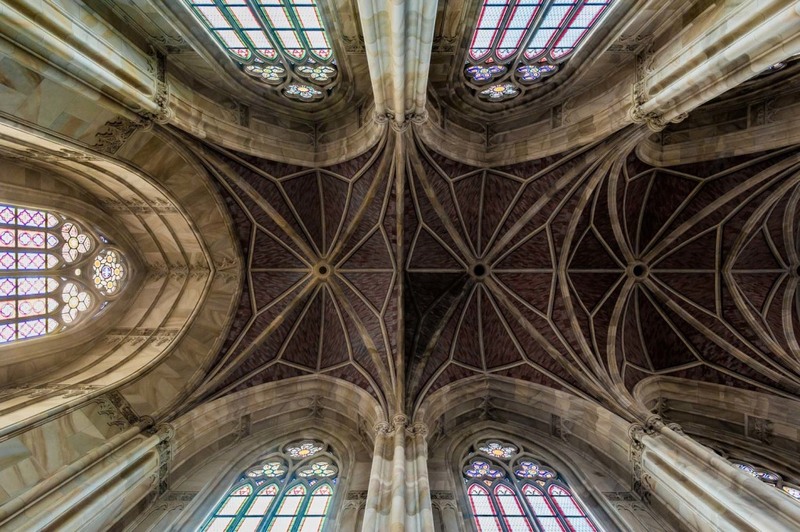 It was designed on the ruins of a pre-existing church open to reformed Lutheran, Calvinist, and Huguenot cults. 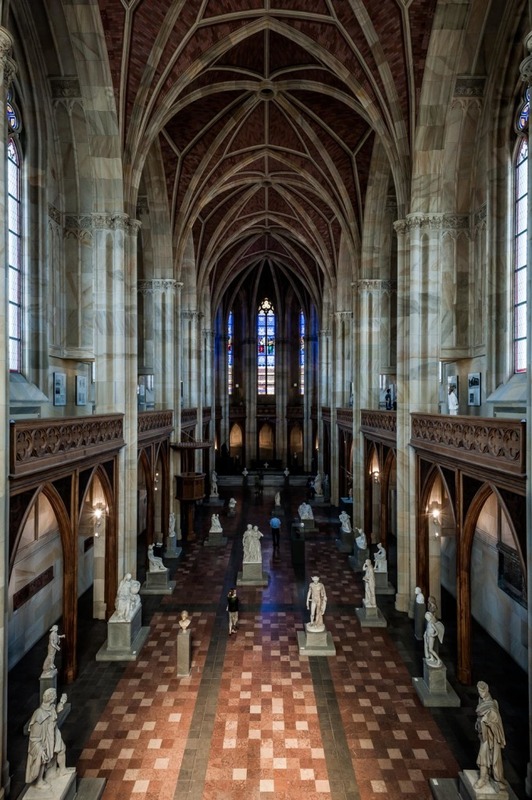 Schinkel was inspired by the Gothic style of the British cathedrals and conceived, for the only nave, groups of slender columns that once supported a vault with intricate and functional grated decoration. 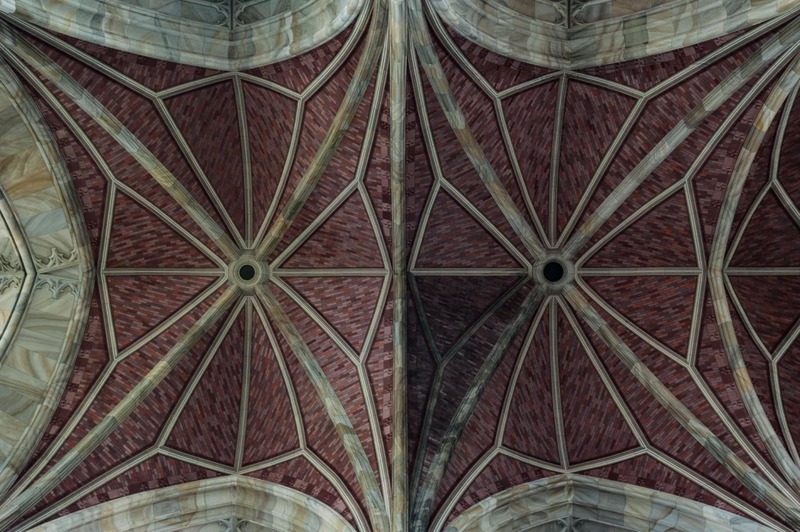 The use of the brickwork represented an absolute novelty for the city, for the lack of plasterwork considered guilty of disguises (even though the bricks of the vault are actually painted!). 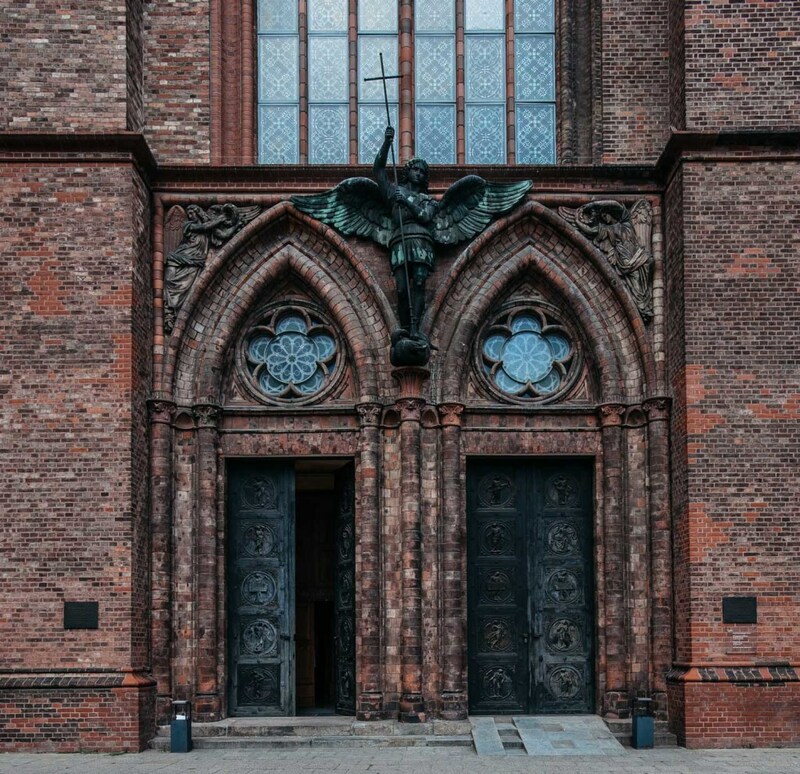 Dedicated for over a century to the rites of the Lutheran community, it was heavily bombed during World War II. 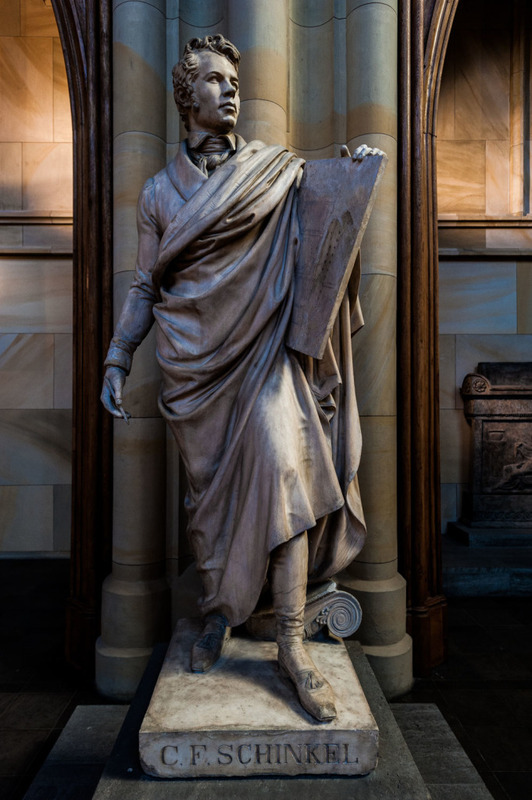 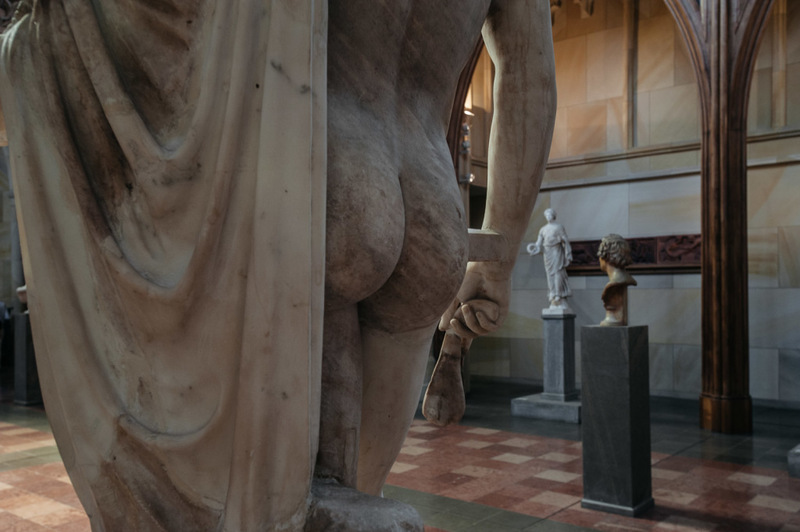 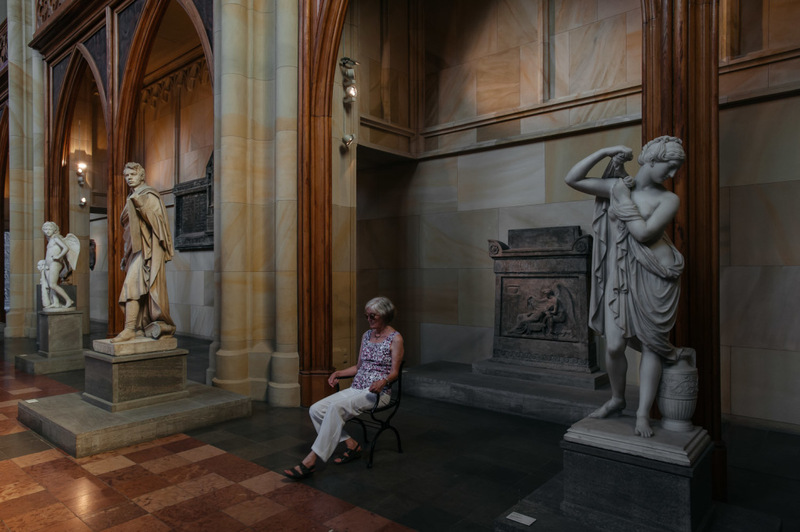 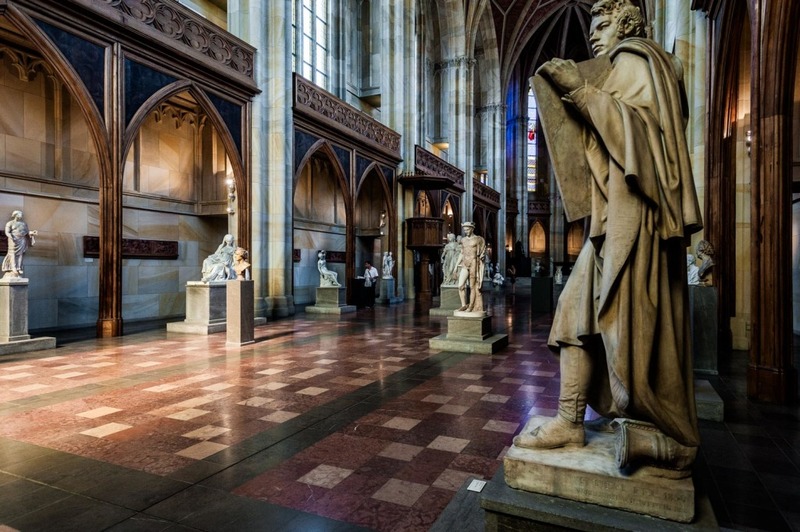 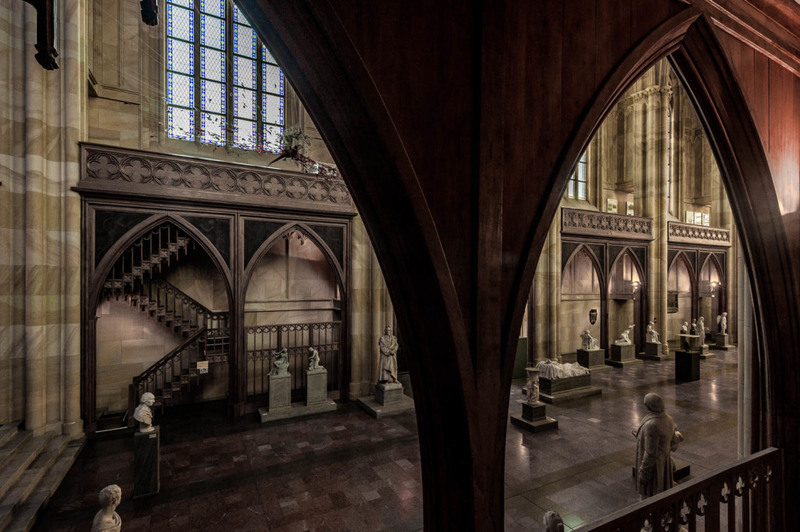 Two years before the Reunification, for the 750th anniversary of the foundation of the city of Berlin, in 1987, the church, which was restored, was converted into a museum and entrusted to the Alte Nationalgalerie, who set up a Schinkel Times Sculpture Museum in its spaces. 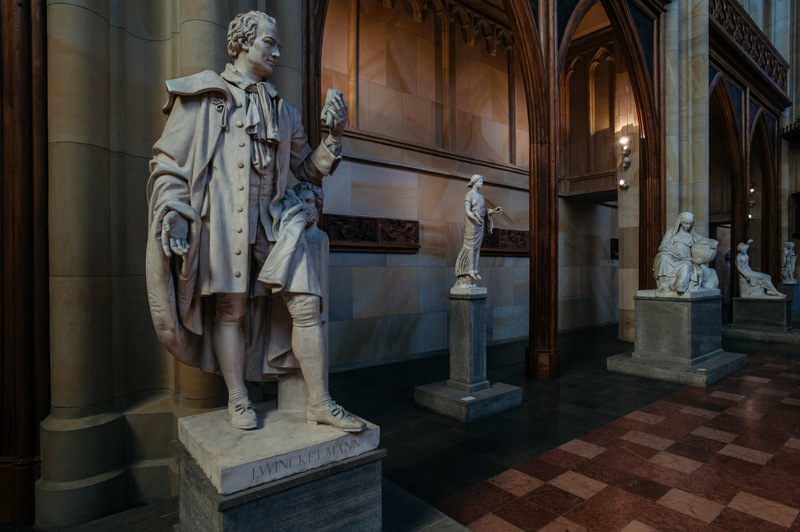 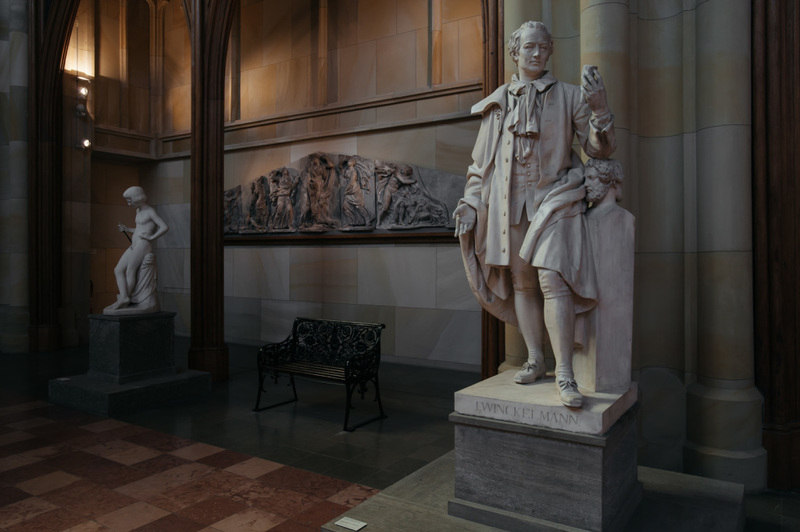 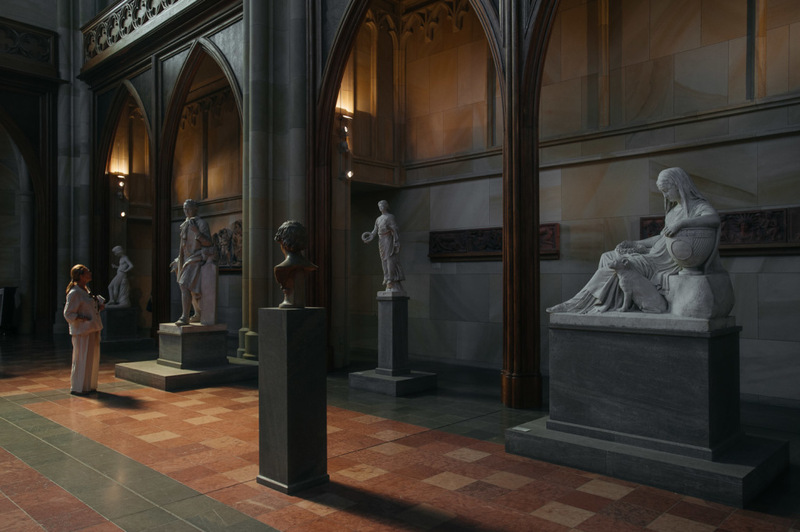 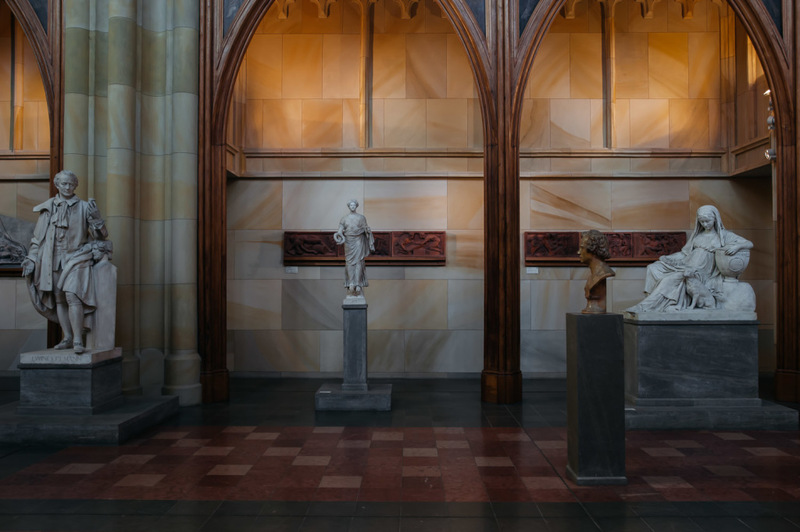 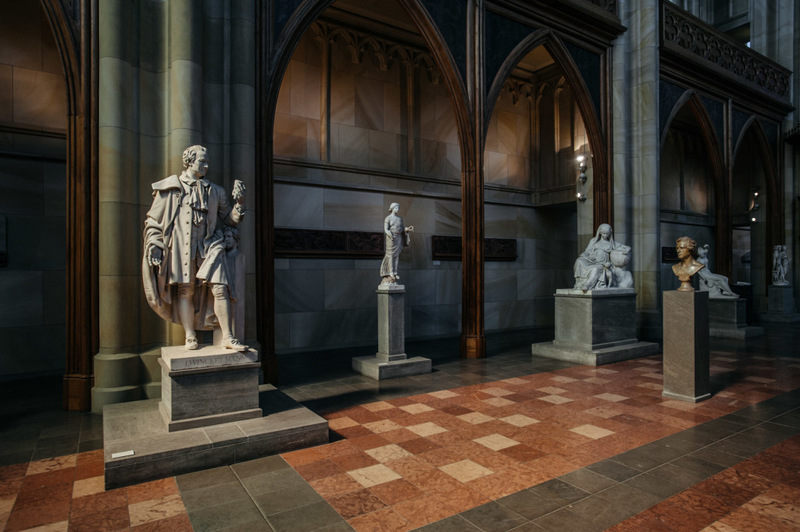 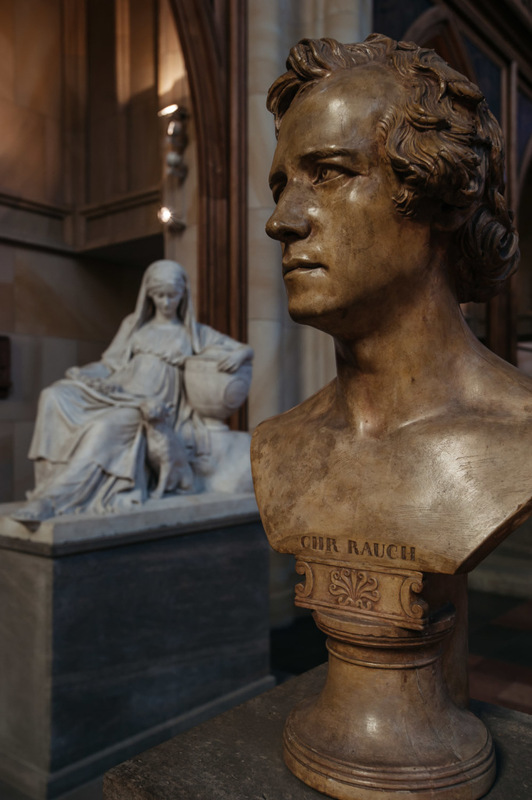 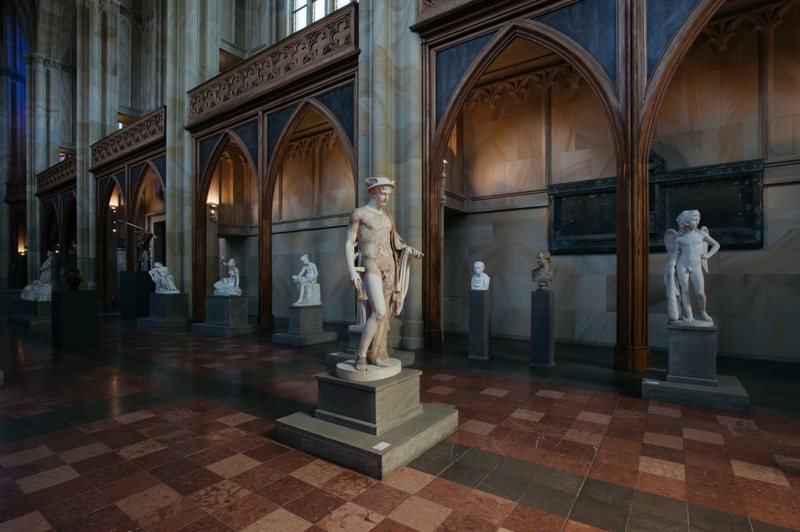 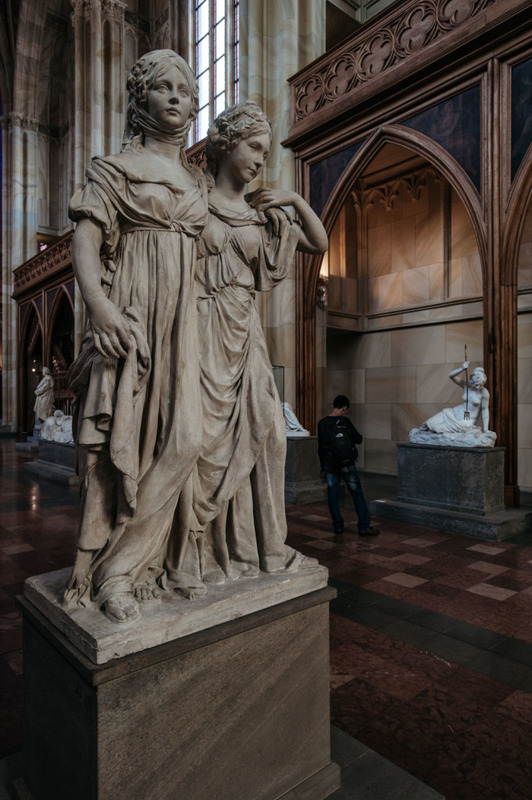 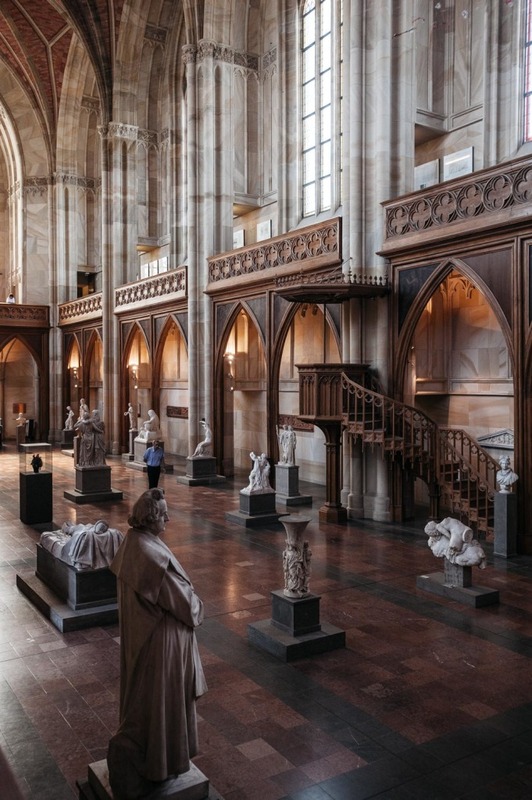 In addition to the monuments of Schinkel himself and to the archaeologist Johann Joachim Winkelmann, the collection included the famous group of Johann Gottfried Schadow’s Princesses (Federica and Luisa) and the marble sarcophagus sculpted by Christian Daniel Rauch for Queen Luisa of Prussia as well as busts by Immanuel Kant, Johann Wolfgang von Goethe and the Humboldt brothers. 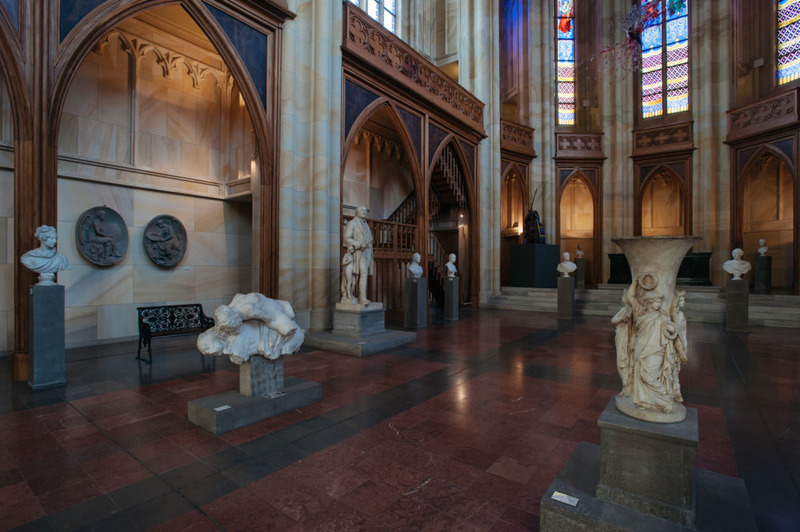 In September 2012, the building was closed to the public due to the damage caused to the structure by the extensive works in the area. 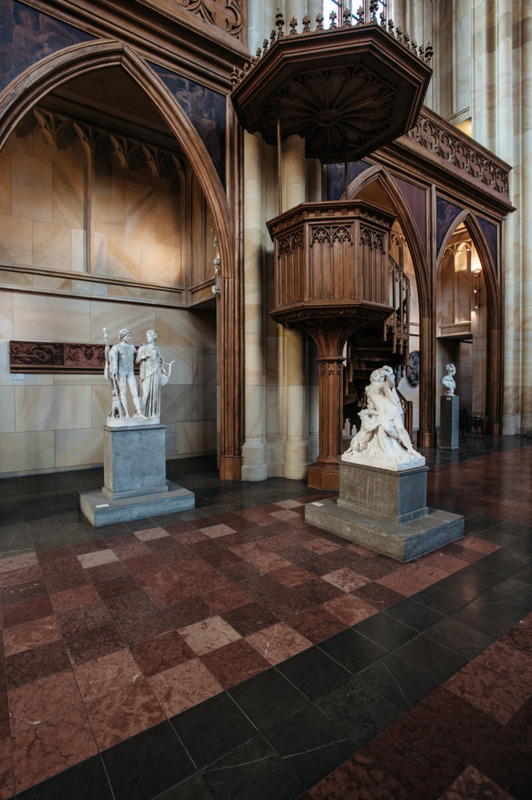 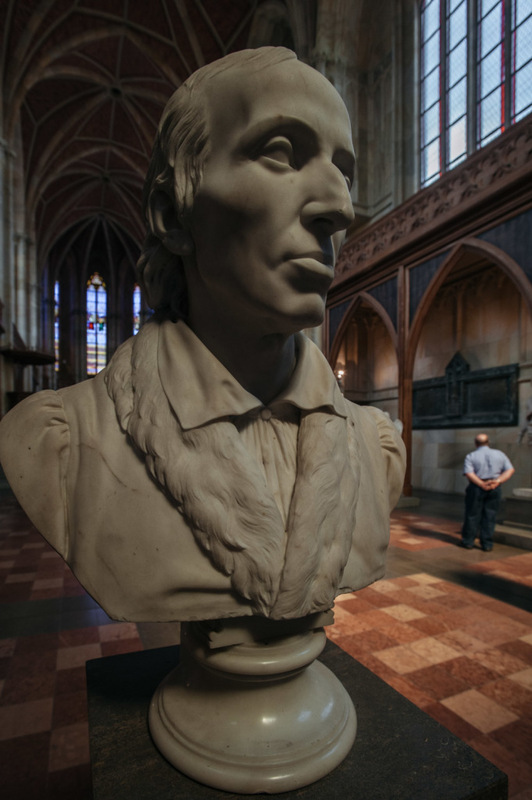 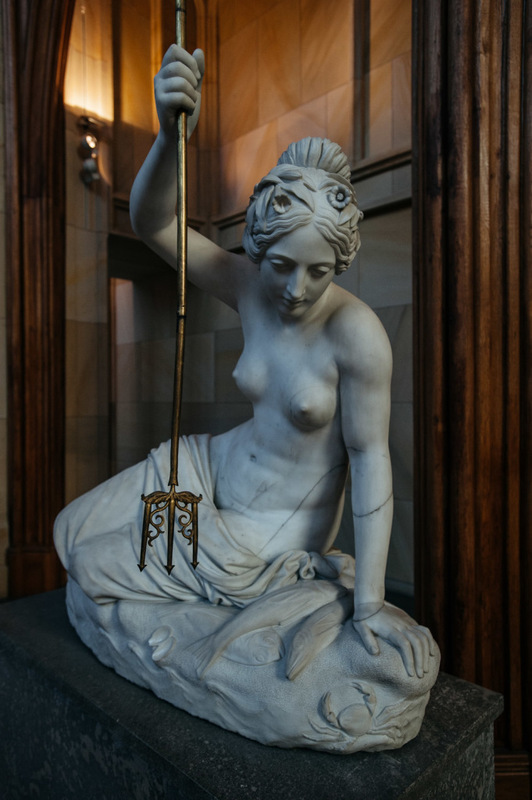 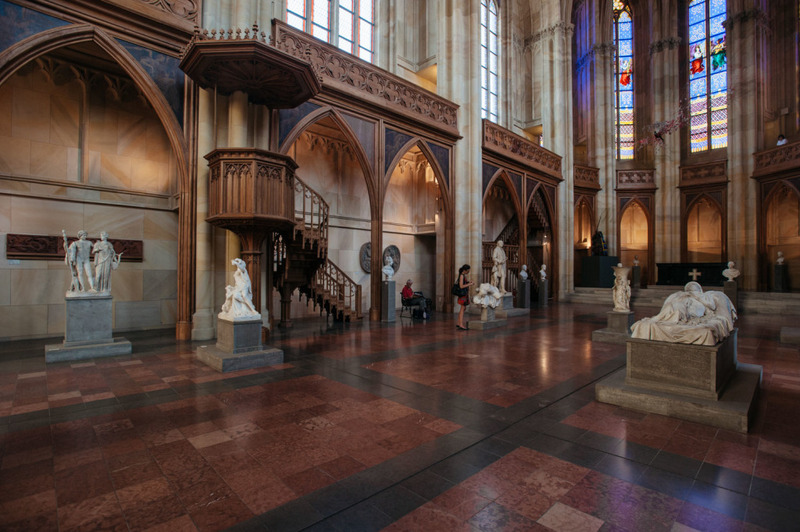 Thanks to this photographic shoot, taken on August 22nd, 2010, the interior of the church and the set up of the sculpture collection, currently removed and in storage, are again visible for BARNUM readers.